Holiday time is a busy time. Around here, its constantly on the go. It’s a time, in my household at least, in which we work hard preparing for the holiday, barely enjoy it, then abruptly disassemble and rearrange the home to get back to normal. It’s exhausting–for me, anyway. This holiday was special, though. One of my kids passed his driver license test (94 out of a 100, with the average being 67–not too shabby, huh!) and the other received her permit to learn to drive. So now one kid is spreading restless wings, and finding freedom to roam, while the other is learning to fly, in my pickup truck accompanied by me. And sports, too, dominated the holidays. Lots of practices and games for each of the kids. Both my wife and I try to attend each game and match. On a couple of occasions it meant one of us at a wrestling match, the other at a basketball game. Both kids are doing well, enjoying their teams and competitions. The school basketball teams, girls and boys, have done well. Saturday afternoon the girls won against Mt. Paran Christian 72-21. The varsity wrestling team took third in its last tournament. In individual tournaments, my boy has taken second and third, and at a “take down” tournament, he took first overall, with the second-highest number of take downs in the tournament’s history. My daughter finished up softball season just before the holidays with a letter and an award for most improved. It was her first year playing softball. No she’ll get her letter”mans” jacket to proudly display her letter. The weather has been warm and wet on and off for the last month. Over the weekend the temperature hit 76F (about 24C) under cloudy skies. It’s different from the year, not too many ago, in which we received five inches of snow. But before one says, “Ahah! Global Warming is Real (opps, it’s called Climate Change now),” one must realized there was a spring in 1973 while I was at Fort Benning, GA, it snowed enough to stop all traffic. And Fort Benning is much farther south in Georgia than we currently live. 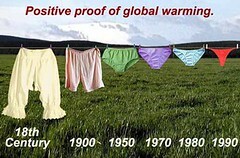 Okay, so we are getting variations in the climate from decade to decade. Anyway, it’s been nice and the trees, bushes, even dormant flowers, seem to enjoy all the rain. We were able to clear the dropped leaves–tons of ’em–before the rains could make them soggy, which will help during the spring clean up. So as for me, I’m feeling like I need to once again withdraw from people and books and radios and televisions and most of everything except the Word of G-d and His presence. It’s sort of a nagging feeling that says, “stop paying attention to all the controversies and disagreements and stuff going on in the world. Rest in the Lord, being filled by His Spirit. So be it. But at the same time I’m inclined to write. I have some ideas, inspiration maybe, for a new direction for JonahzSong, too. I’m running of reserve battery on my computer, so will wrap it up for now.